As part of our ongoing commitment to provide premium service to our friends, family and neighbors, Fox Plumbing & Heating's Heating and Cooling Specialist is here to discuss the importance of having a properly sized furnace for your home. Even with such a mild winter here in Seattle, Kent, Bellevue and King County, it doesn't mean that we should ignore the importance of having the right system to keep your home comfortable. Before we begin, it'll be important for you to understand what a Manual J load calculation is, the first step in the design process of a new heating and air conditioning system. By following the Manual J methodology, Heating and Cooling Specialists are able to pinpoint how much heat is lost through the exterior of a home during the cooler months, and the total amount of heat that is gained through the exterior of a home during the warmer months. Is your furnace the right size for your home? If you bought your furnace without getting a Manual J load calculation, your furnace may be too large or too small for your home. 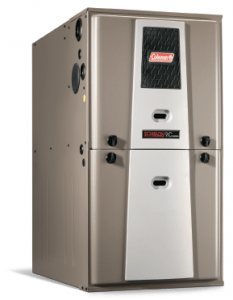 Most of us have heard of the appropriate BTU's for an air conditioner and your room size, but have you heard that if your furnace is not sized properly for your home then you'll experience problems? Which should lead you to ask the question, "How do I determine the size of the furnace that I should buy?" It all depends on the factors that complete your home. What is the layout? Does it have an upstairs, a basement, an attic or wings? How many windows and doors does the home have? Are they single pane or double pane windows, and how large are they? Are they energy efficient windows? Is your home well insulated. What type of floors do you have, tile, wood or carpet? What materials make up the home's exterior? What is the home's infiltration rates? What are the internal loads, i.e. lighting, power, appliances, people, cooling system gains? The Manual J Calculation evaluates each room in the house for heat gain and heat loss. It also determines if the duct work is appropriate for the furnace. Once the Manual J Calculation has been completed, then your Heating & Cooling Specialist can make a recommendation for the correct size of furnace needed for your home based on the amount of warm air needed per cubic feet each minute (cfm). To get a total heating and cooling package, you would need to make several checks: Manual J, S, T and D. Manual J evaluates your home, Manual S compares your home to the equipment, air conditioner, furnace, heat pump or boiler; Manual T looks at the cfm requirements for each space; and Manual D determines the duct design of the home. You'll know if these important steps were taken before installing your own furnace if you look for these indicators. If the system shuts off frequently, the system may be too large for your home. If your furnace runs without stopping it suggests that the system is too small. The greatest benefit for using a properly sized furnace is the comfort your family will experience. The second benefit is the money you will save when your furnace operates efficiently. Finally, a system that operates correctly leads to greater environmental benefits. Each home that operates efficiently has a smaller carbon foot print, which is helpful for the environment. To determine if your furnace was well matched to your King County home needs, enlist the help of your Fox Heating and AC Specialist. They can advise you of the proper steps to take to improve your home's comfort and heating efficiency.